Hanal Pixan establishes the link between the living and the dead, to honor friends and relatives who have passed away to their eternal rest. October 31st is dedicated to the children’s souls, November 1st. is dedicated to the adults’ souls and November 2nd. is “Faithful Death Day” (children and adults). 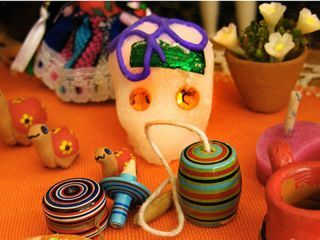 The altars are previously set with the food, candies and the soul’s favorite things. According to the belief, there are dead people who don’t have relatives to honor them or for some reason they do not set an altar for them; these spirits are called “Lonely Soul”. These souls get sad and begin their return without having accomplished their mission. 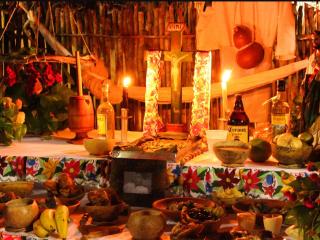 In this case, a small and simple altar is set on the corner of the house, placing different kind of offerings. Then, they are loudly called to invite them to take the essence of the food.